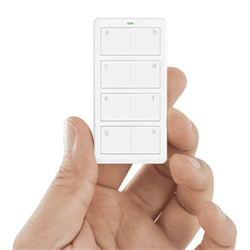 The RemoteLinc 2 Keypad is an easy-to-use wireless remote that allows you to control INSTEON devices remotely. You can raise and lower light levels for multiple lights from anywhere in your house. RemoteLinc 2 is wireless and can be used as a lightweight handheld remote, tabletop controller or visor remote for your car (tabletop stand and visor clip sold separately). You can even mount it to the wall to create a wireless keypad in the perfect location - without having to rewire (wall mount bracket and wallplate sold separately). RemoteLinc 2 is powered by a built-in rechargeable lithium battery. Based on average usage, expected battery life between a charge is 9-12 months. Recharge using any standard USB Type A to Micro-B cable. USB Cable and USB charger can be purchased separately if you don't have them. 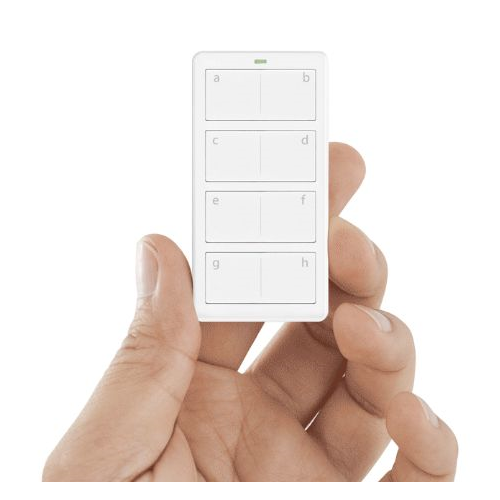 RemoteLinc must be within maximum 50 feet from the nearest INSTEON access point or can directly control dual-band INSTEON devices like light switches, keypads or plug-in modules. Can directly control dual-band devices such as 2477 series dimmers, 2487 series keypads, 2457 series lamp modules and more.